Travel and food go hand in hand. Could you imagine going on a holiday to Italy without tasting the pasta, or to France without tasting Crème Brulee? Sounds criminal to us! We have rounded up the top foodie destinations around the world, where eating is not just about the food, but also about the experience. New York is the world’s food mecca. 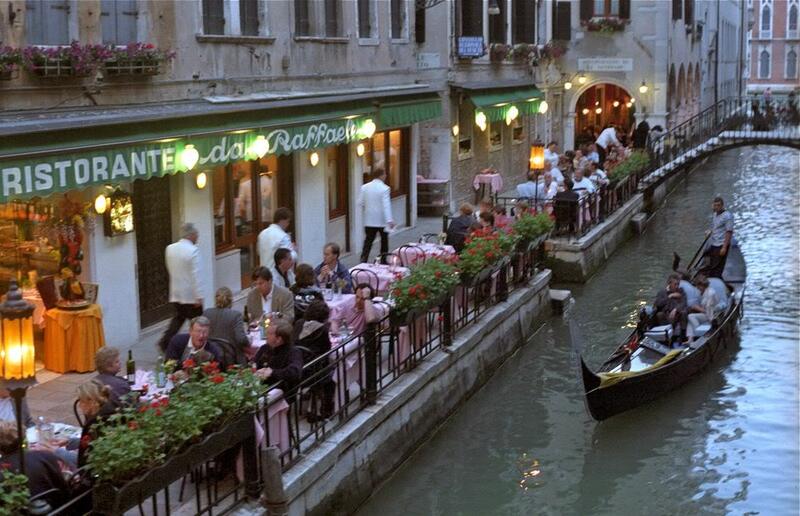 It has over 10 000 restaurants where you can taste every cuisine imaginable at any time of the day. The city that never sleeps is a city of immigrants, who have brought along their customs, traditions and most importantly their cuisine. What New York is most famous for is its Jewish deli’s, Brooklyn Pizza, New York cut steak and Chinatown for (you guessed it) Chinese food. You can go on a gastronomic tour of world cuisine, tasting everything from Pakistani to Lebanese dishes all in one city. The best thing about New York is that it caters for everyone at any budget. 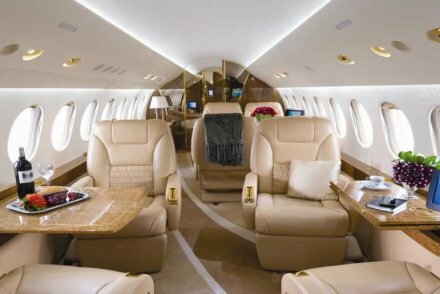 It has some of the most expensive restaurants in the world, but it also has some of the cheapest. The cheap ones often have the best food. 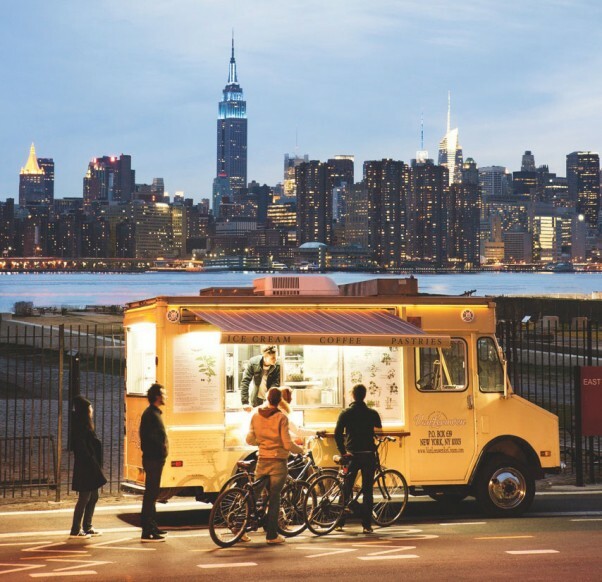 The street food scene is also very exciting; with hundreds of food trucks serving up everything from steak sandwiches to Kung Pao chicken. Whatever dishes you’re looking for; be it Hawaiian style pork or Indian style curry, New York will have it and more. The culinary scene in Barcelona is dominated by contemporary Catalan cuisine. The city has a huge variety of high end restaurants where food is treated as a combination of science and art. The city’s restaurants are at the cutting edge of world cuisine, discovering new culinary techniques and creating new dishes every day. Barcelona also has classic restaurants that serve more traditional Spanish dishes like Paella and Pisto, a Spanish ratatouille. 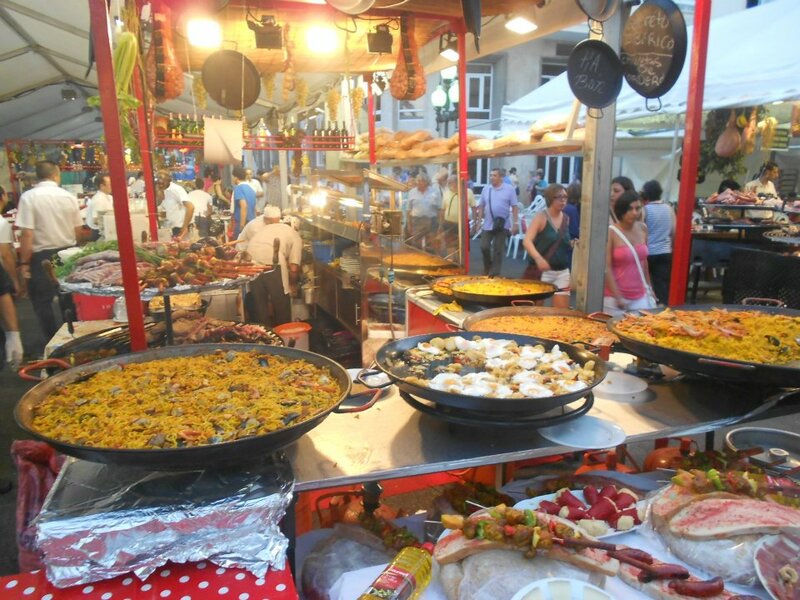 The best slice of Spanish cuisine is however not found in fancy restaurants, but in the local markets and Tapas bars of Barcelona. The local La Bosqueria market is arguably one of the best fresh food markets in the world. You can find anything from sheep’s head to lobster in this market, there is also a wide variety of olives for sale for the vegetarians. 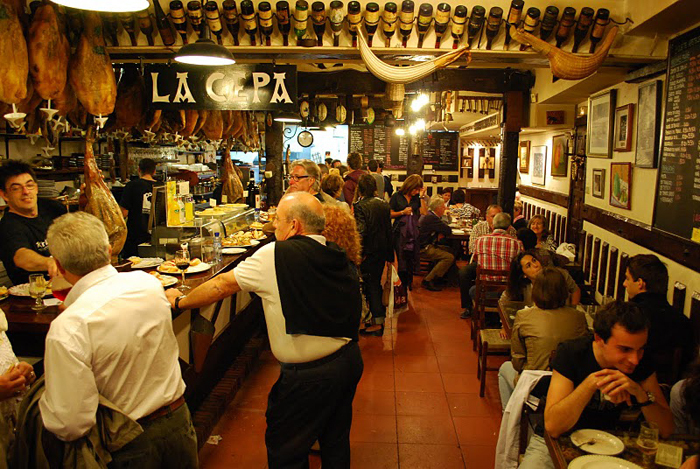 The tapas bars are the real culinary attractions of Barcelona. Each bar has their own specialities that they serve up to patrons, who sit sipping on cold beers, chatting about the day’s events. Fresh fish, fried potatoes and cured meats are what Spanish food is all about, with a combination like that how can you go wrong? Moroccan tourism revolves around two things, the Sahara desert and food, the latter is what we are interested in here. Moroccan cuisine developed through centuries of interactions and exchanges with various cultures and societies. Modern Moroccan cuisine has been influenced mostly by Barber and Mediterranean culture. 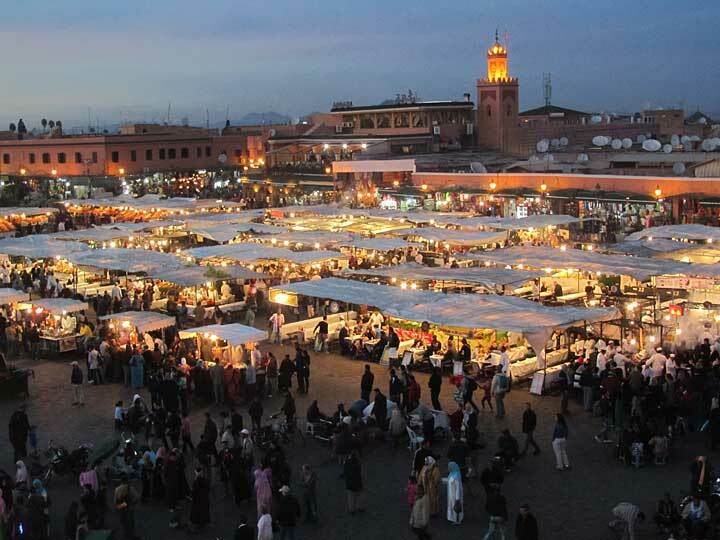 The Marrakech market is ground zero for Moroccan cuisine. This market has been feeding tourists and locals for hundreds of years. The crowded and noisy market has hundreds of different vendors and shops that sell just about anything. The spices, barrels filled with olives, Tangia chicken and the weird and wonderful exotic dishes that are served here are what made the Barber market so famous. The exotic dishes can be quite interesting. You can have ox heart that has been lying in the hot sun for days, or for the more adventurous, there is deep fried goat’s testicle to feast on. For the more traditional taste try Morocco’s most famous export, Couscous – the food so nice, they named it twice. 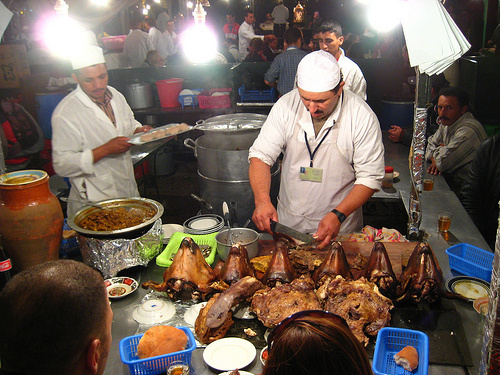 A foodie trip through Morocco is a real adventure, the people are friendly and the atmosphere is always buzzing. Whether you’re in the Marrakesh market picking out the perfect olives or at a local seafood restaurant in Casablanca, savouring the catch of the day, you’ll fall in love with Morocco from the first bite. You’ll be hard pressed to find a list like this that does not include France or a French city like Lyon or Paris. France is without a doubt the fine dining capital of the world. Chefs from all over the world come to Paris to learn the art of French cooking and fine dining service. French cuisine is rich and heavy, with cream and butter featuring in most traditional French dishes. Today every restaurant that is worth its salt must be able to produce a good Crème Brulee, a sugary desert that originated in France. The world’s most expensive products like truffles, lobster, caviar and rich cheeses are on every French restaurant’s menu. Each region in France has its own speciality dish. A food trip through the country roads of Provence will be totally different to a food trip though Paris. 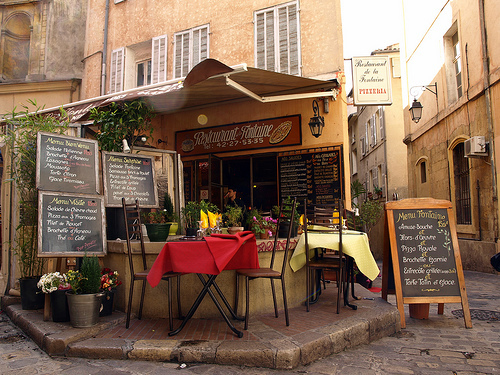 Paris is all about fine dining while the countryside villages of Provence serve up traditional rustic French food. 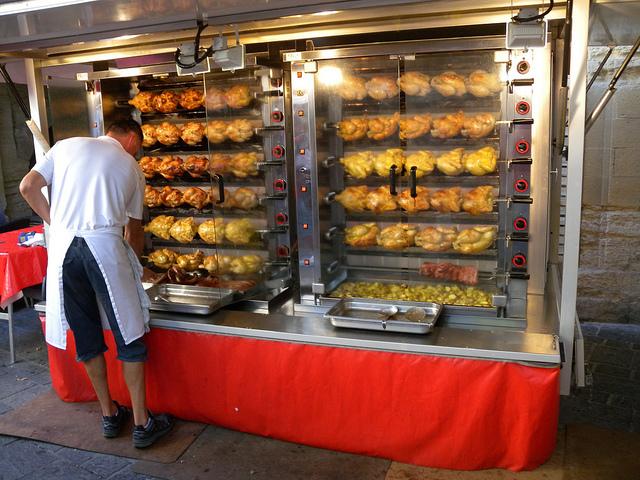 While walking through Paris you can smell fresh bread being baked in centuries old ovens and chickens being cooked in rotisserie ovens right on the pavement. French cuisine has always been the benchmark for restaurant quality food, it’s not about to give up that position anytime soon. This small seaside city in northern Spain has more Michelin stars per capita than any other city in the world. Two of the city’s restaurants, Arzak and Mugaritz have been named among the top 10 restaurants in the world. 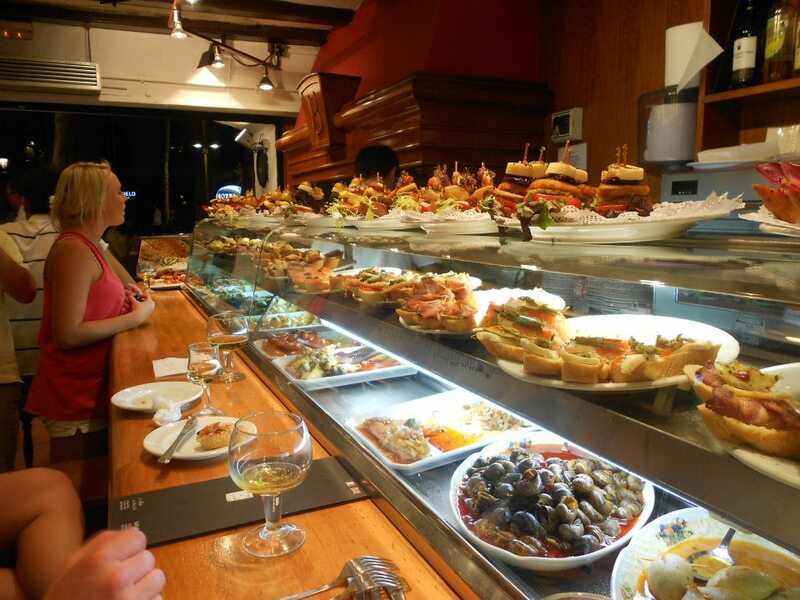 The mysterious gastronomic societies of San Sebastian are legendary institutions in the culinary world. Members of these societies gather in a club, complete with a full professional kitchen, almost every day to cook authentic Spanish cuisine and socialise with each other. These members don’t gather only for the food, they organize cultural activities that are the lifeblood of the social life of the city. These societies are all private, membership is by invitation only, so don’t expect to walk in to one for a lunch or dinner. 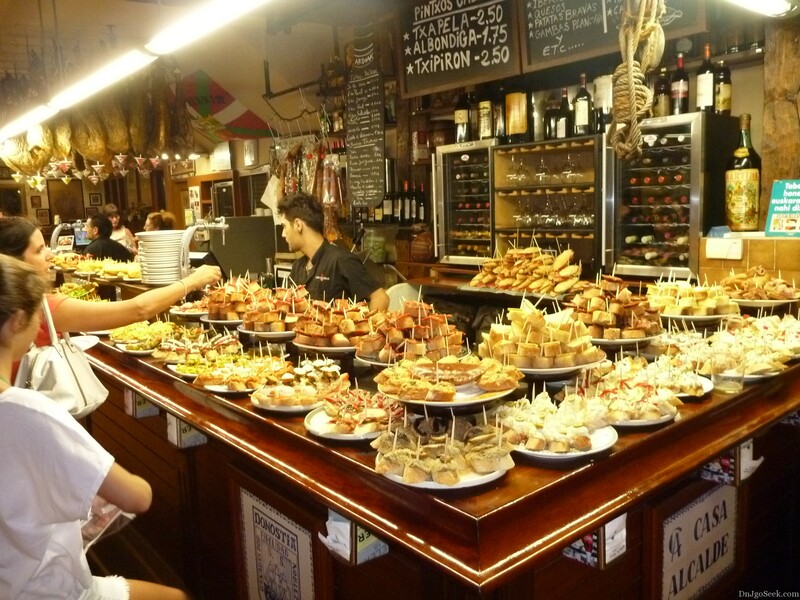 The greatest culinary adventure in San Sebastian is however not found by touring the Michelin Star restaurants or joining a gastronomic society dinner, it’s found by going on a Pintxos Bar crawl. Hundreds of people pour into the streets of San Sebastian twice a day, tasting and drinking their way from bar to bar. Basque-style tapas like fried anchovies, beef and pig cheeks, blood sausage and calamari are served fresh and hot at every bar, every day. Istanbul is a city of two worlds. Both European and Asian cultures have influenced the city’s customs and cuisine. 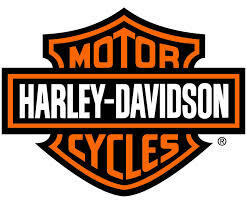 The reason for this is that the city finds itself in two continents, Europe and Asia. The Bosphorus strait that runs through the heart of the city is the boundary between Asia and Europe. 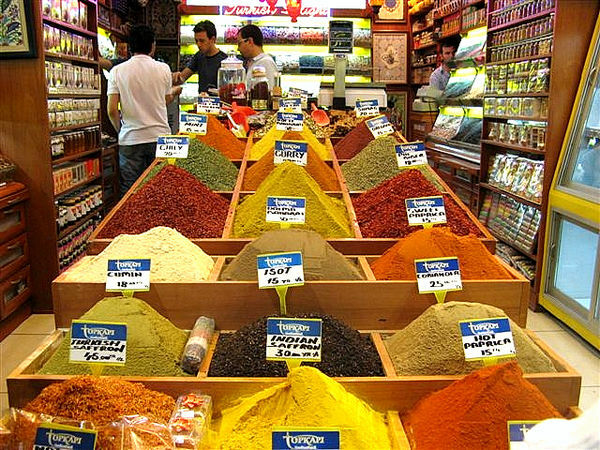 Just like Morocco, Istanbul is known for its colourful markets. Mezes platters are the most popular dishes throughout the city. When you walk through Turkey you will usually see tables full of meze surrounded by friends or family drinking Raki, a traditional Turkish drink. 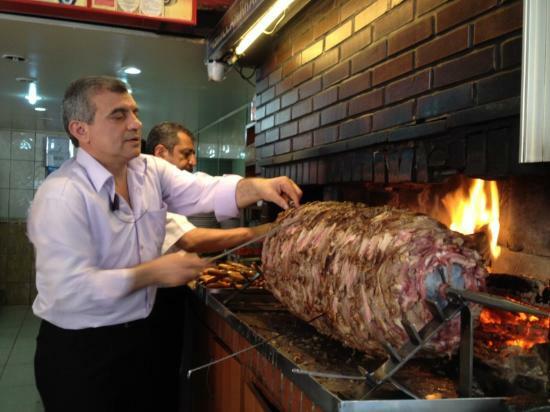 Turkish food is dominated by lamb, eggplant and green peppers all mixed with an exotic spice or two. Like its culture, Turkish cuisine has been shaped by many different cultures and societies and Istanbul has always been the melting pot of Turkish society. Foodies believe that the best way of experiencing and learning a new culture is by eating your way through it! Turkish culture and cuisine is so diverse and exotic that you’ll have to eat a whole lot to try and eat your way through it. If you’re looking for that sort of an experience then Istanbul is for you. Hong Kong is the world’s undisputed champion of street food. Hong Kong is the only city in the world where you can eat at a Michelin Star restaurant for less than $5. The city’s restaurants have gone for a quality before quantity approach, which means you don’t have to sit down for an expensive 5 course meal at a high end restaurant to taste a Michelin Star quality dish. You can go and taste a dish at one restaurant and head on to another excellent restaurant to taste some more Michelin Star quality food. 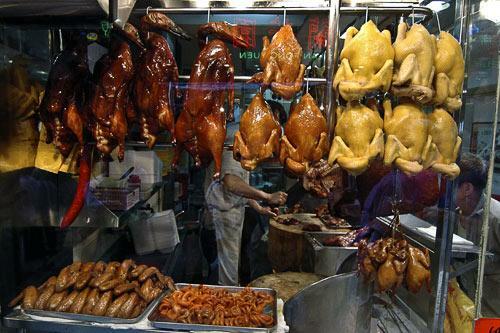 The most popular dishes like Roasted Goose and Vietnamese soft shell cabs are consumed by the thousands every day in Hong Kong. The street food scene is what has made Hong Kong such an exciting culinary destination. Every time you come back to the city hundreds of new vendors will have sprung up next to the road or in the food markets, each one better than the next. 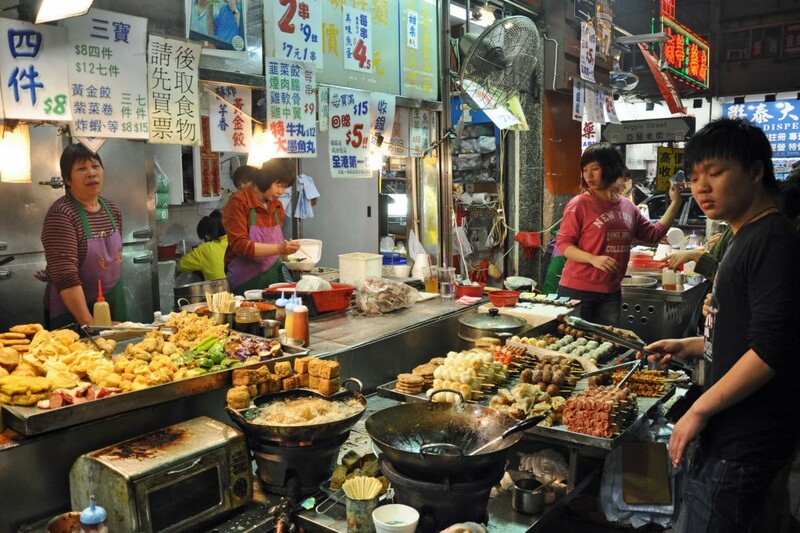 Here you can find everything from curry fish balls to stinky tofu and Egg Waffles. True to Asian street market style, the city has a wide variety of exotic dishes to taste. You can have pork, fish or squid intestines or if you’re more of a stew person they’ll throw it all in a pot and make you an organ soup. If you’re really into exotic tastes then try the snake soup or baked fish intestines, these dishes are not for the faint hearted. Just like the Roman Empire once did, Italian food has conquered the world. One can almost forgive the Romans for the collapse of their empire because with such good food being served every day, it’s hard to stay focused. Today every self-respecting town, city or village around the world must have a decent Italian restaurant; otherwise there is no point in living there. Sicily is where pasta was first made. It has been modified and perfected in Italian kitchens from Rome to Venice for hundreds of years. 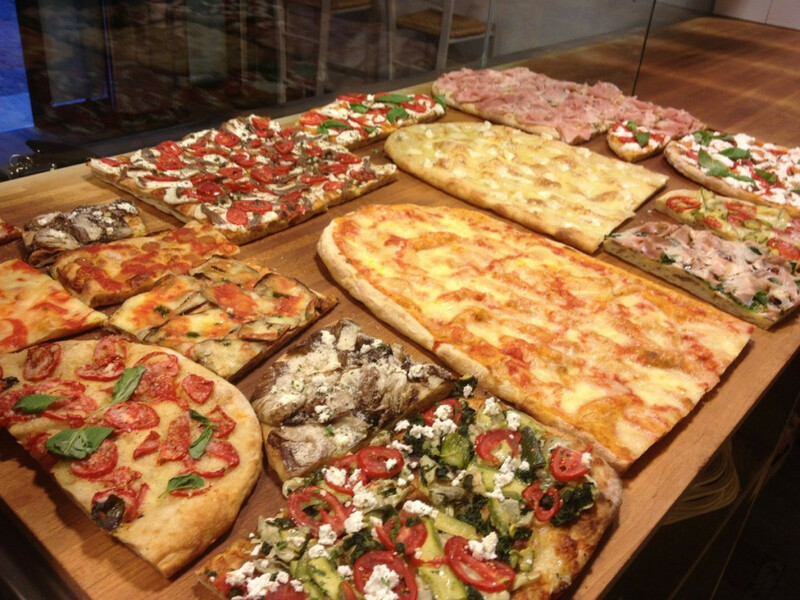 Pizza originated in Naples over one hundred years ago; today it is one of the most popular dishes in the world. Whether you taste meat sauce in Rome or Prosciutto in northern Italy where they hang it in caves to mature, just like they have been doing for hundreds of years, you’ll never be disappointed by Italian food. 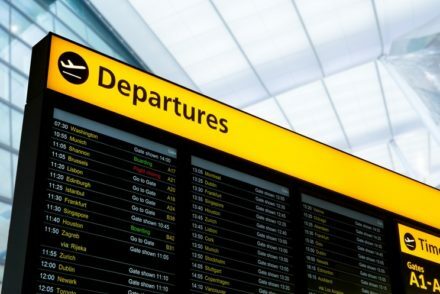 What makes Italy the number one foodie destination in the world is that you can walk into any Italian home and eat food that is just as good as any dish that is served at any top class Italian restaurant around the world. 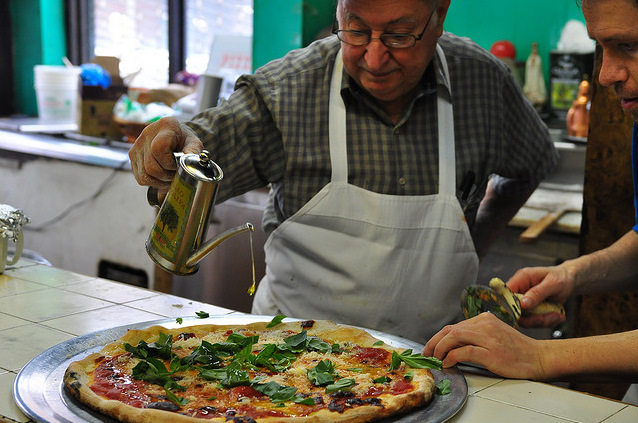 The passion that Italians have for food and the love that they put into every dish is what makes their food so special.